Conveniently and elegantly showcase your dinnerware collection with the 17-Piece Square Dinnerware Set. This set includes a stylish wire rack that allows you to stylishly display the contemporary dinnerware on your countertops or easily store them in your cupboards. 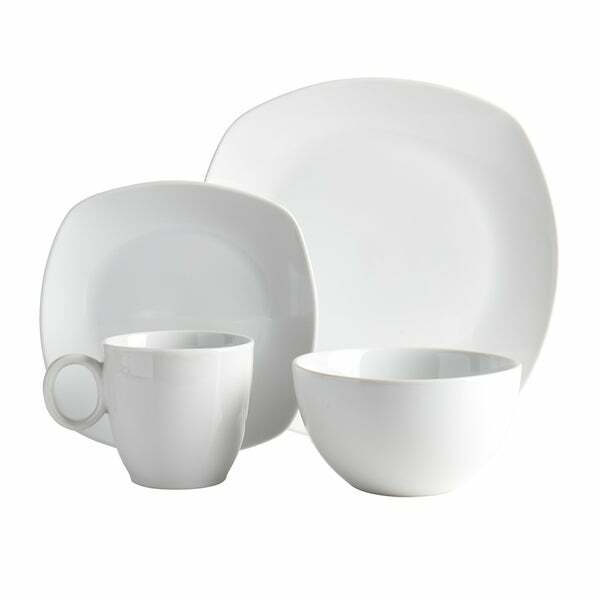 Made with a durable ceramic construction, this set is dishwasher safe, freezer safe, and microwaveable. I love the set for the following reasons: Easy to store. Can use it as is when I serve buffet style. Because it's white & simple I can mix & match with other serving pieces. I am ordering another set. I love the look and the convenience. Definitely reccomend it.